Genuine Aprilaire 201 high efficiency replacement filter. Used the media air cleaner model 2200 and 2250. Aprilaire 201 is rated at Merv 10. The 201 filter is 24¼" long and 6" wide with 39 fan-fold pleats. The filter requires assembly with 5 plasitic pleat spacers (not included). Replacement is suggested once a year or after one heating and one cooling season. Holding the filter up to light will show the amount of dirt. Only the intake side should be dirty, the side of the filter that the air exits from should remain dust free. The Aprilaire Stock No. 201 was formally the Spacegard 201. 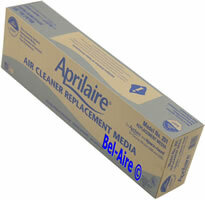 Aprilaire is a brand name of Research Products. The genuine Aprilaire 201 is made in the USA. Each filter is individually boxed as shown in our photos. 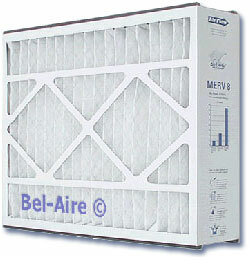 Allow to retrofit Aprilaire/SpaceGard 2200 2120 to upgrade the 201 filter. 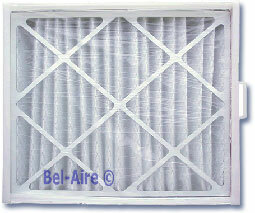 The new 213 filter can be used in the existing Aprilaire or SpaceGard air cleaners. Updates efficiency from MERV 10 to MERV 13 to double the efficiency. Eliminates the need for pleat spacers for faster and easier installation. 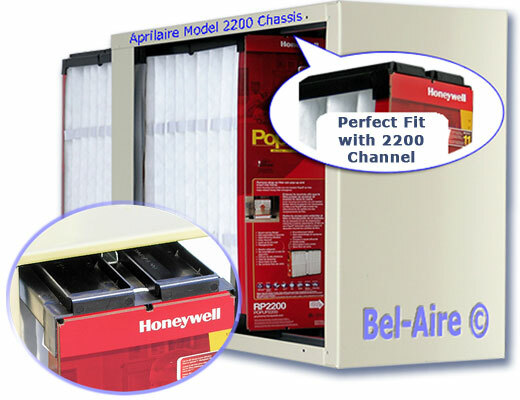 The Aprilaire model 2200 can also accept the Honeywell PopUp2200 filter, replacing the 201 filter. Honeywell has designed the Merv 11 Popup filter to replace the Aprilaire 201 filter. The Honeywell filter slides right in to the 2200 steel frame. The Aprilaire plastic housing and pleat spacers are not needed. Eliminating the messy disassembly and assembly of the 201. 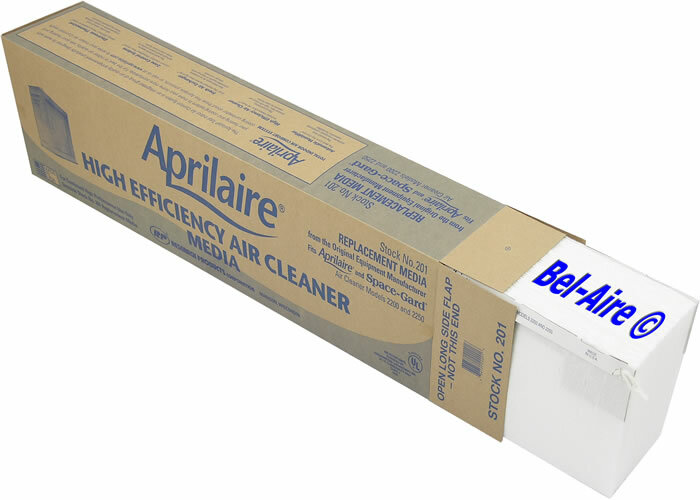 The Aprilaire model 2200 can also accept the Trion AirBear 255649-102 filter, replacing the 201 filter. The AirBear fits snugly in to the 2200 plastic housing. The Aprilaire pleat spacers are not needed with the Air Bear. Eliminating the messy disassembly of the old filter and tricky assembly of the new 201 filter.